Maybe the Government will listen this time. 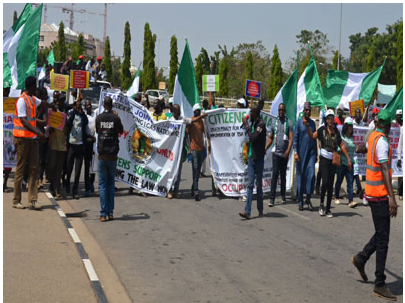 The occupy National Assembly, NASS, protest organised by a group of youths led by a socialite and activist, Charles Oputa, popularly known as Charly Boy has forced the leadership of the National Assembly and workers to use alternative route to the complex. The protest which started on Wednesday has caused traffic gridlock even as the main entrance to the complex has remained shut as the protesters blocked the entrance. Charly Boy and his co-protesters are calling for the prosecution of the judges accused of corruption, a downward review of salaries and benefits for politicians in the country. 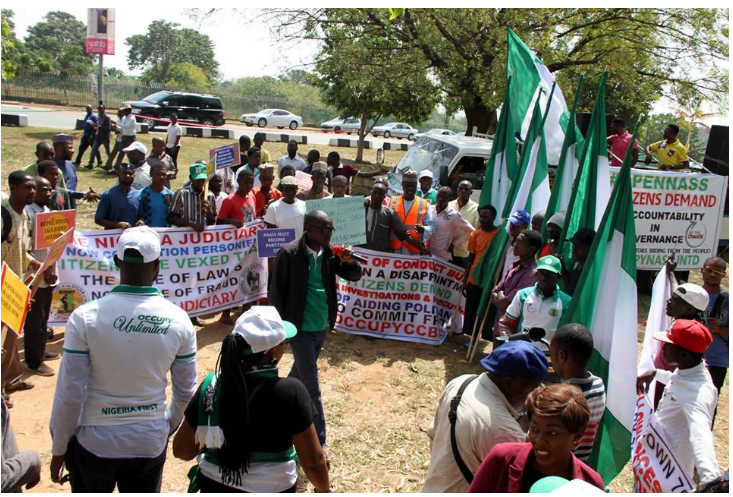 The protesters are also demanding that people who are guilty of stealing public funds should be sentenced to death as well as a slash in the salaries of political office holders by about 70 per cent and a stop of state and local government joint accounts. Vanguard investigations revealed that the principal officers and workers at the National Assembly are now using the State House villa entrance and that of the office of the Secretary to the Federal Government, SGF, to gain entrance to the complex.